Create a small pillow that your child can carry around and cherish as they grow up! 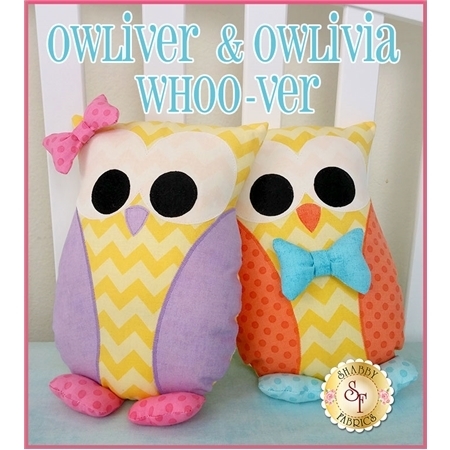 Choose to make "Owliver" or "Owlivia" Whoo-ver depending on whether you want a pillow for a boy or girl. This Shabby Exclusive pattern includes all instructions and diagrams needed to complete this cute 7½" x 10" pillow. 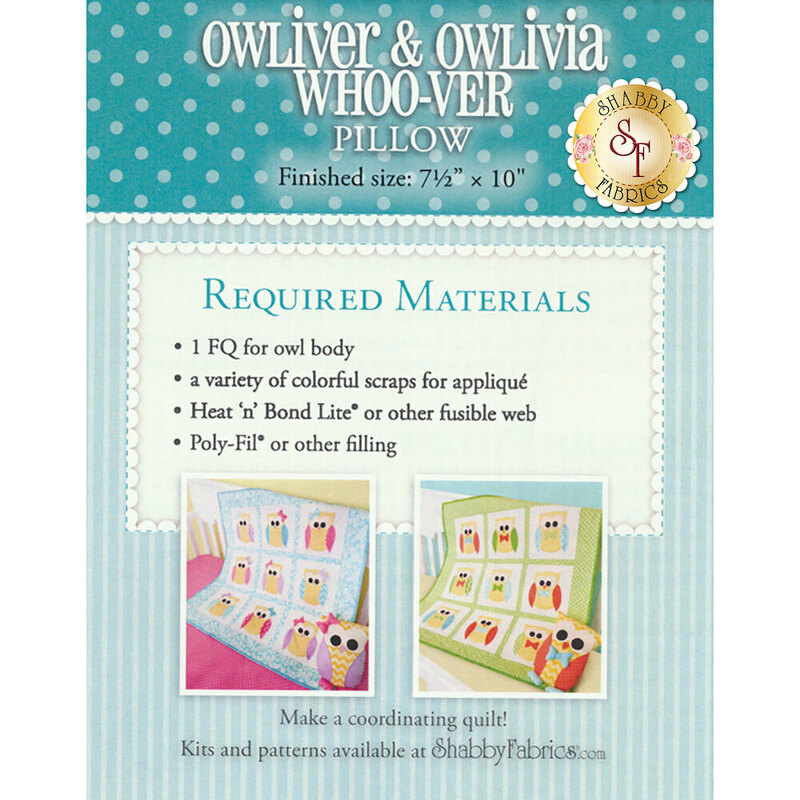 This pillow coordinates with the Owliver & Owlivia Quilt (show in the images below). To make this wall hanging, add the Owliver & Owlivia Whoo-ver Quilt Pattern below. Add the MonoPoly Clear Thread below to stitch down your laser pieces - it's clear so you can't even tell that it's there! In addition, you can use The Bottom Line Thread Natural White for your bobbin.